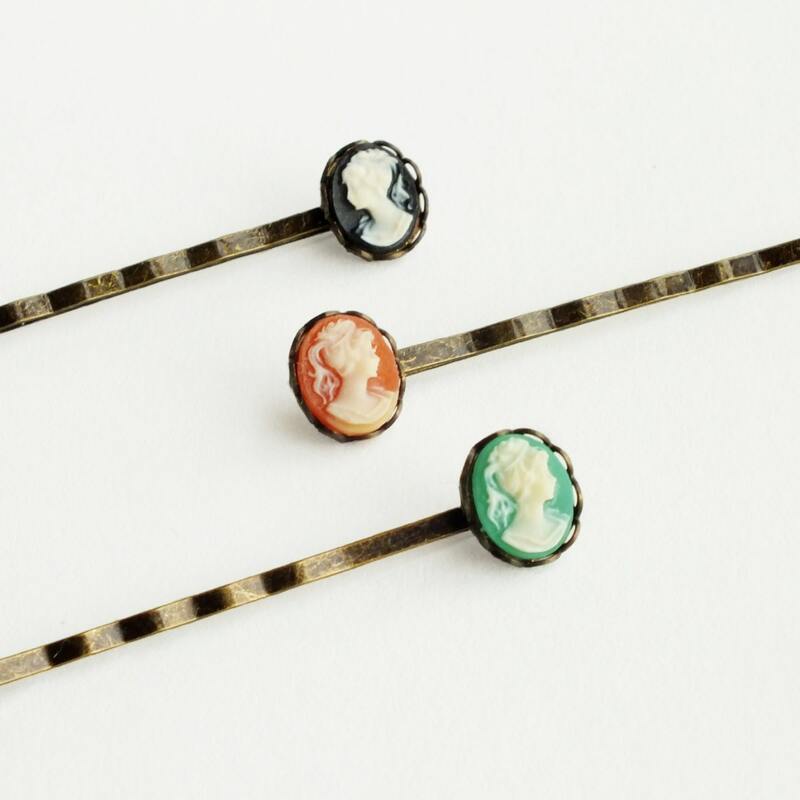 Handmade cameo hair pins with vintage Victorian resin cameos and antique brass bobby pins. 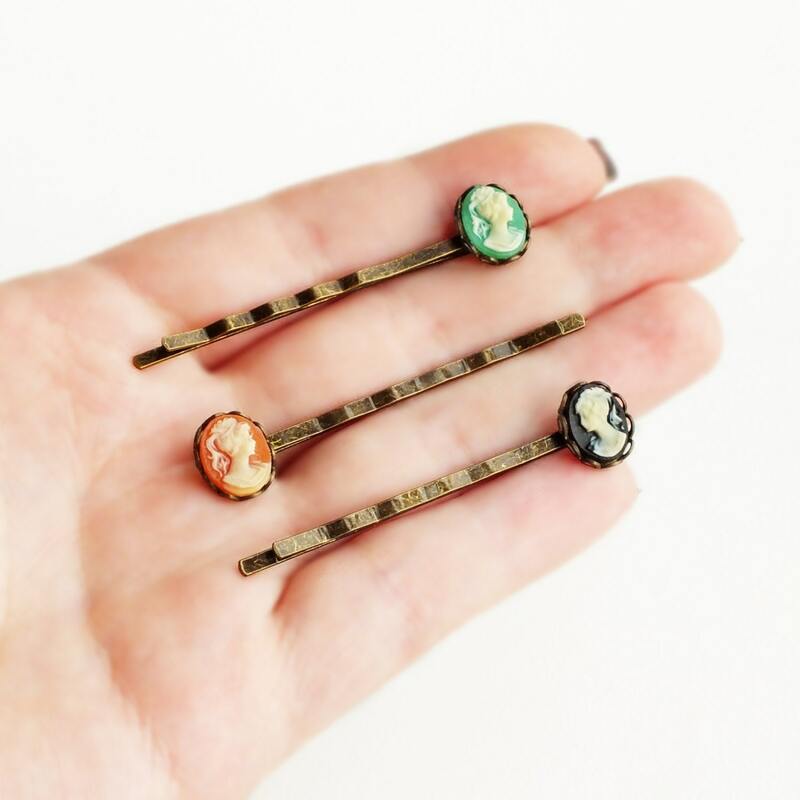 High quality antique brass bobby pins. 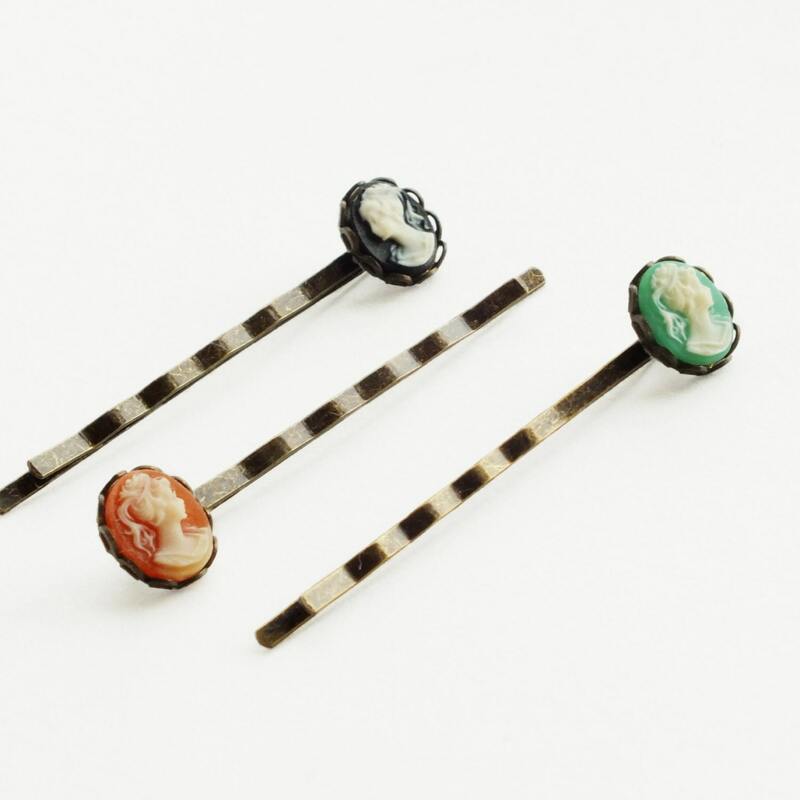 Hair pins are 5.4 cm - 2 1/8 inches long. 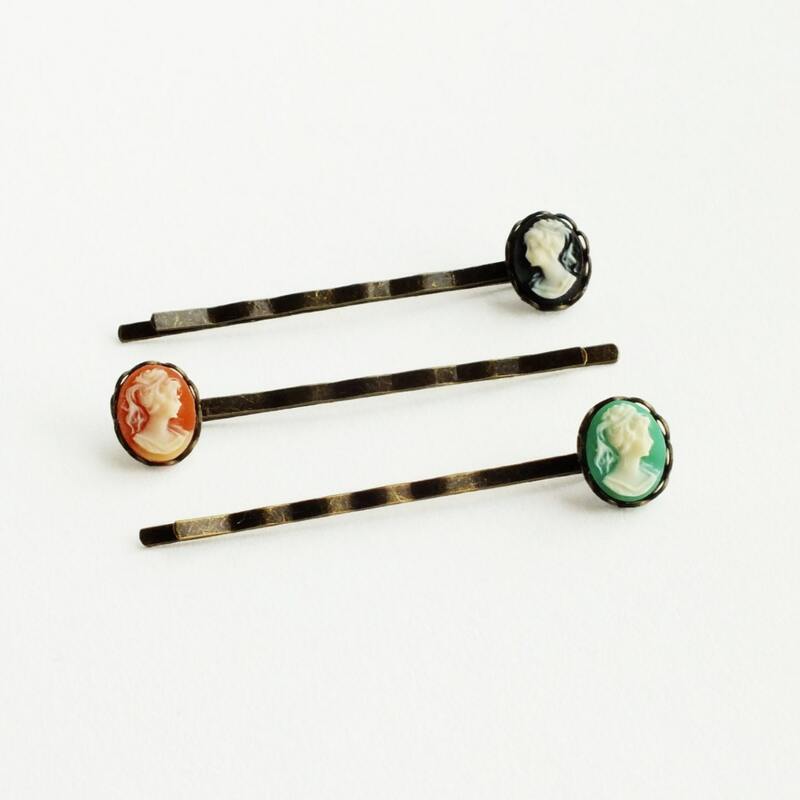 Made with a trio of small detailed vintage resin cameos set in lace-edge brass frames and secured to high quality antiqued brass bobby pins. The colors are black, carnelian and green.